Your physician has referred you for an ultrasound scan, a diagnostic procedure designed to reveal important information for use by your physician. He or she will be happy to tell you as much as you’d like to know about this important diagnostic scan. Ultrasound imaging, also called sonography, involves exposing part of the body to high-frequency sound wave to produce pictures of the inside of the body. Ultrasound exams do not use ionizing radiation (X-ray). Ultrasound images are captured in real-time, therefore they can show the structure and movement of the body’s internal organs, as well as blood flowing through blood vessels. Most ultrasound examinations are painless, quick and easy. A registered diagnostic medical sonographer will position you on the table, apply warm gel on your skin (over the area being imaged), and will then press on the skin with a hand-held transducer to obtain the necessary images. The images are then analyzed and interpreted by a board certified radiologist or cardiologist. The radiologist/ cardiologist will send a signed report to your referring physician, who will then share the results with you. 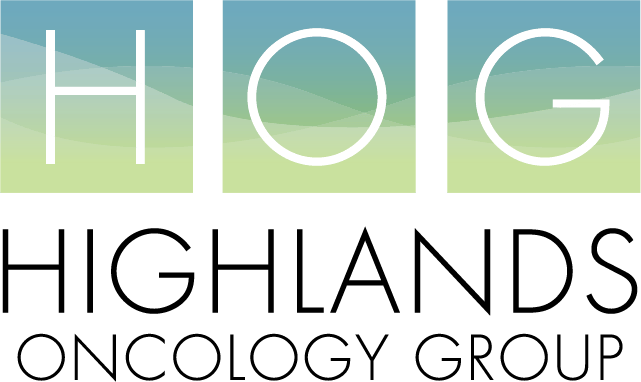 Highlands Oncology uses ultrasound imaging systems that are up to date and provide useful information for your medical diagnosis. Ultrasound is also used to guide needle placement for special procedures. sonographer can obtain the best possible images. Transthoracic echocardiogram (or echo) is an ultrasound of your heart. The doctor may order this to evaluate or monitor your heart during chemotherapy, or if you are having symptoms he/she feels could be related to your heart. The sonographer spreads gel on your chest and then presses a device known as a transducer against your skin, aiming an ultrasound beam through your chest to your heart. The transducer records the sound wave echoes your heart produces. A computer converts the echoes into moving images on a monitor. breathe in a certain way or to roll onto your left side. No preparation is required for this exam. A physician may use an ultrasound examination of the neck to help diagnose a lump in the thyroid or a thyroid that is not functioning properly. No preparation is required for this exam. the scrotum, an absent or undescended testicle, testicular torsion, abnormal blood vessels, or a lump or tumor. No preparation is required for this exam. upper or lower extremity ultrasounds. Abdominal ultrasound exams may be ordered for a patient with abdominal pain, abnormal laboratory tests, follow up to other types of imaging tests, or a variety of other symptoms and indications. Patient must go without food and drink for eight hours prior to an abdominal study. This is so the sonographer can see the appropriate structures for complete evaluation. Necessary medications may be taken with a small amount of water only. The endovaginal transducer allows close evaluation of the uterus, ovaries and cervix. This technology provides a clear image of the reproductive organs because it is only inches away. This is beneficial especially if there is intestinal contents, such as gas, causing an obstructed view.